Carl Icahn’s Pep Boys fight can go another round. The auto-parts chain is spurning Japan’s Bridgestone in favor of a sweetened $1 billion offer from the raider-turned-activist after several rounds of back-and-forth. But shareholders seem to be betting that the Japanese tiremaker has the financial wherewithal to punch its way to a higher price. The frenzy started when Tokyo-based Bridgestone struck an all-cash deal to acquire Pep Boys for $15 per share in October – part of a wider trend of Japanese companies looking for deals to expand outside their moribund home market. In December, Icahn Enterprises unveiled a $15.50 per share counterbid that was later matched by the tiremaker. Bridgestone was forced to raise its offer yet again, to $17 per share, after Icahn improved its initial proposal. The billionaire activist’s latest $18.50 per share salvo values Pep Boys at $1 billion – some 52 percent more than it was worth before the initial Bridgestone pact and double where the company was trading before speculation arose in May that it may be up for sale. Pep Boys stock on Tuesday promptly jumped above the new price to $18.80 per share, suggesting investors anticipate another raise. That’s plausible. Bridgestone had around $500 million of net cash on its balance sheet as of September. Adding an extra $100 million or so to its current offer would still leave the company with a negligible ratio of debt to EBITDA, assuming it were to borrow to pay for the entire deal. Icahn, meanwhile, has suggested that he is willing to pay even more if necessary. Both bidders may anticipate substantial cost savings – Bridgestone from merging Pep Boys’ service centers with its existing U.S. network of tire shops, and Icahn from combining it with Auto Plus, a rival car-parts dealer he already owns. In the current accommodative M&A market, this battle between a deep-pocketed strategic bidder and a master financial mechanic may not be over yet. Auto-parts chain Pep Boys-Manny Moe & Jack said on Dec. 28 that it would terminate a merger agreement with Japanese tiremaker Bridgestone in favor of a sweetened $1 billion offer from billionaire activist investor Carl Icahn. The Pep Boys board said Icahn’s revised bid of $18.50 per share was superior to Bridgestone’s latest offer of $17 per share. The company put itself up for sale in June and in October agreed to be acquired by Bridgestone for $15 per share. Icahn Enterprises initially offered $15.50 per share for the company in early December. 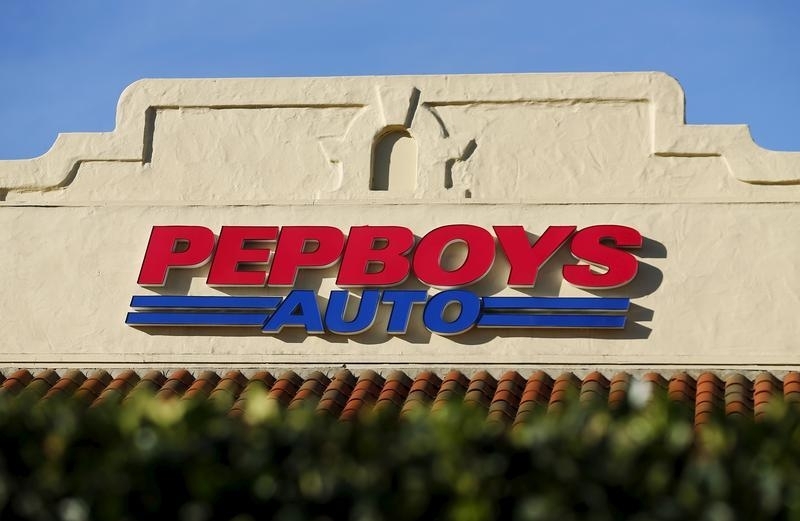 Pep Boys shares rose more than 8 percent on Dec. 29 to $18.83 per share.